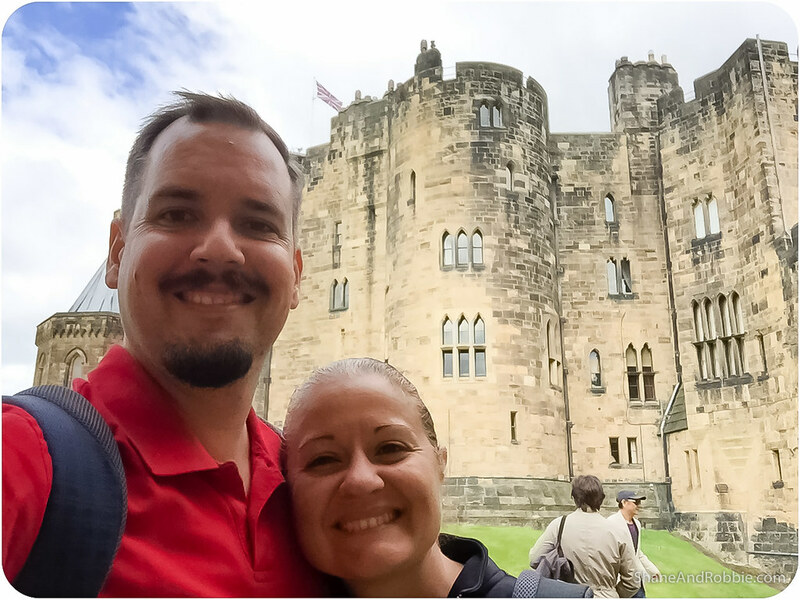 Today is our 22nd anniversary and we decided to reward ourselves for 2.2 decades of hard work and dedicated effort with a trip to 3 OF THE MOST EPIC CASTLES EVER! Castles are so awesome! 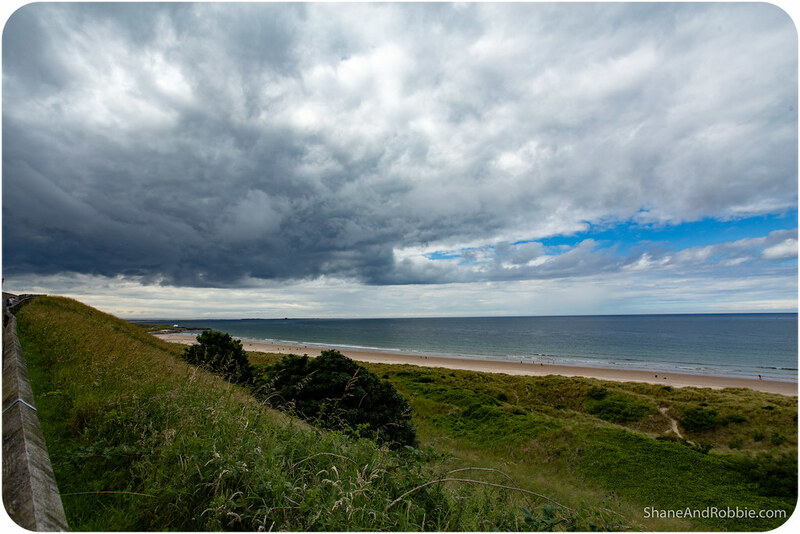 Our day trip took us north of Newcastle into Northumberland, England’s northernmost county. 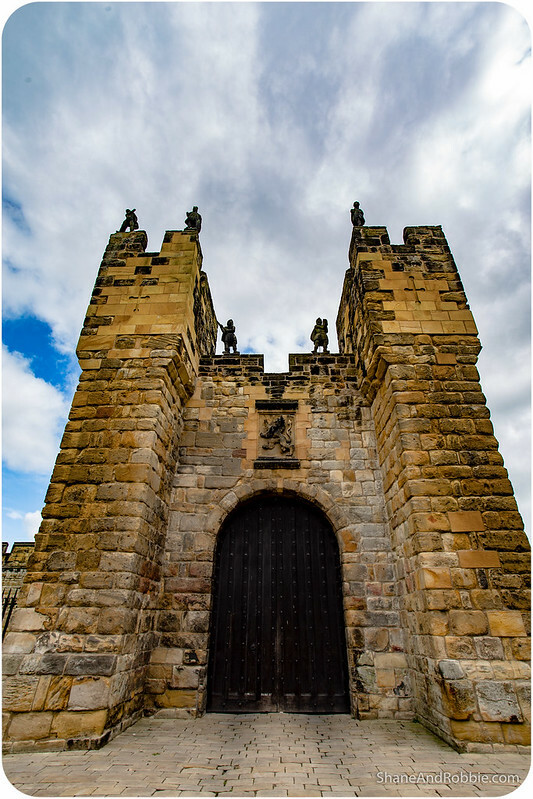 Once known as the Kingdom of Northumbria, this is a land where Roman occupiers guarded a walled frontier, Anglian invaders fought with Celtic natives, and Norman lords built castles to suppress rebellion and defend a contested border with Scotland. 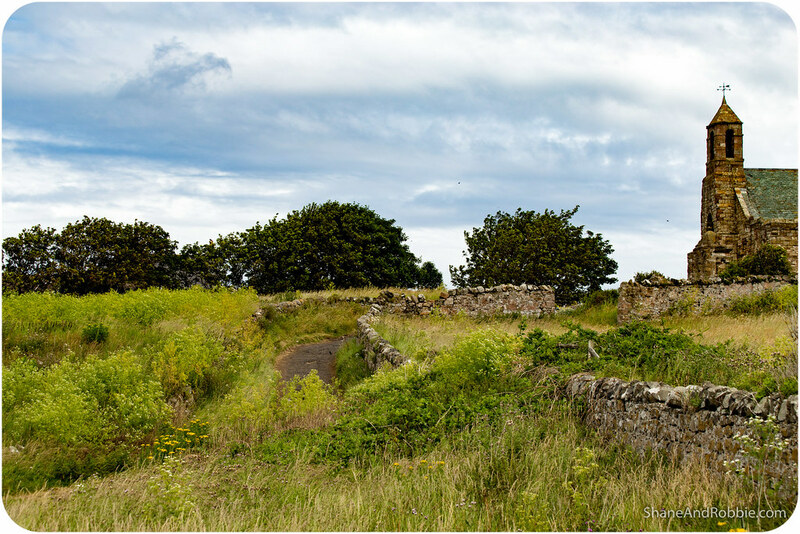 Rural, thinly populated, and often attacked by savage Vikings, this was a wild place where Scotsmen raided across the border and outlaws took refuge from justice. 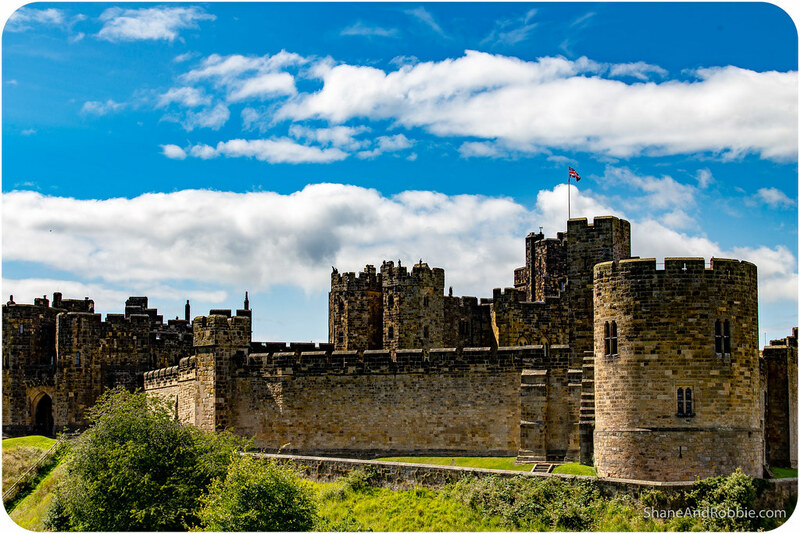 Reflecting its tumultuous past, Northumberland has more castles than any other county in England, which is all the excuse we needed to go for a visit because we LOVE castles! Northumbria during its “golden age” was the most important centre of religious learning in the British Isles, with the Monastery of Lindisfarne as the most important centre of Christianity in the region. The ruins of this monastery was our first stop for the day. 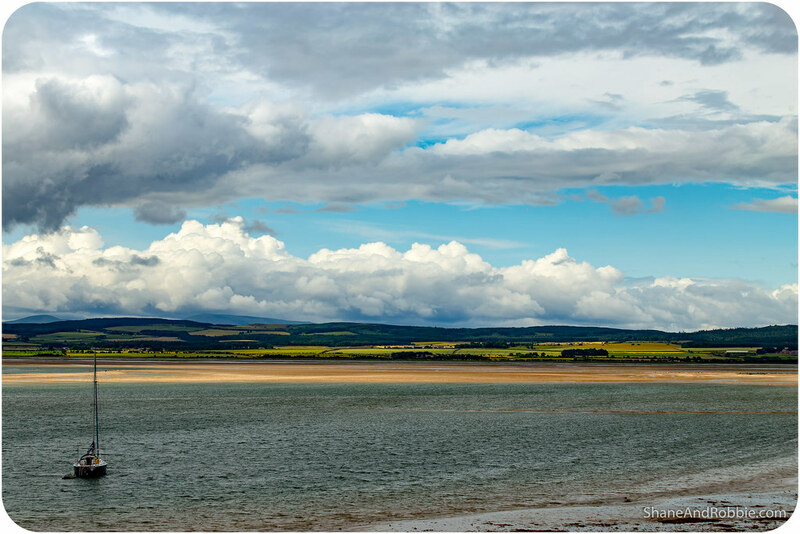 We visited the tidal island of Lindisfarne, often referred to as “Holy Island”, first as this was when the seas were at their lowest (the road that links it to the mainland is submerged at high tide). 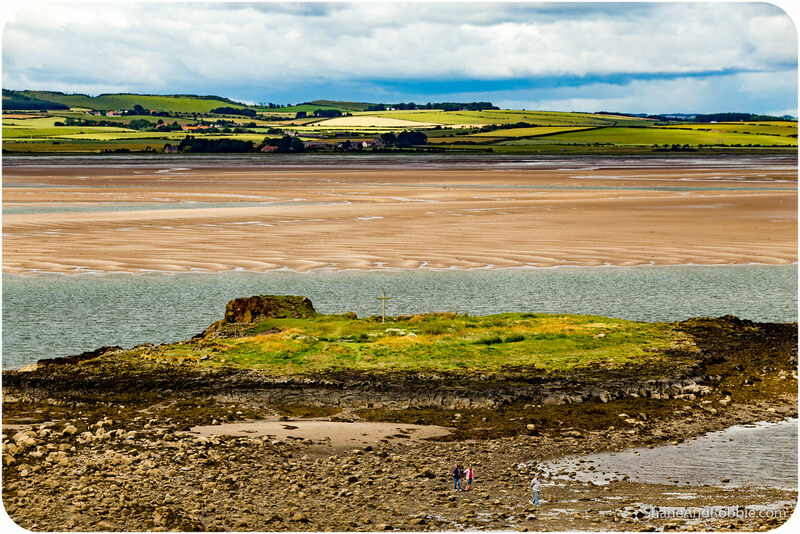 The island is home to a small village (population: 180), the ruins of the Monastery of Lindisfarne, and the 16th century Lindisfarne Castle. 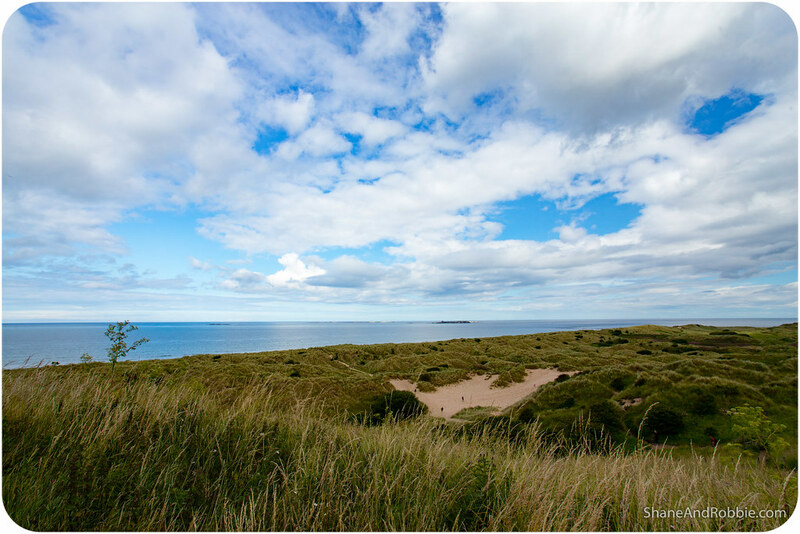 It’s also in the centre of the Lindisfarne National Nature Reserve, which protects the island’s sand dunes and the surrounding habitats. 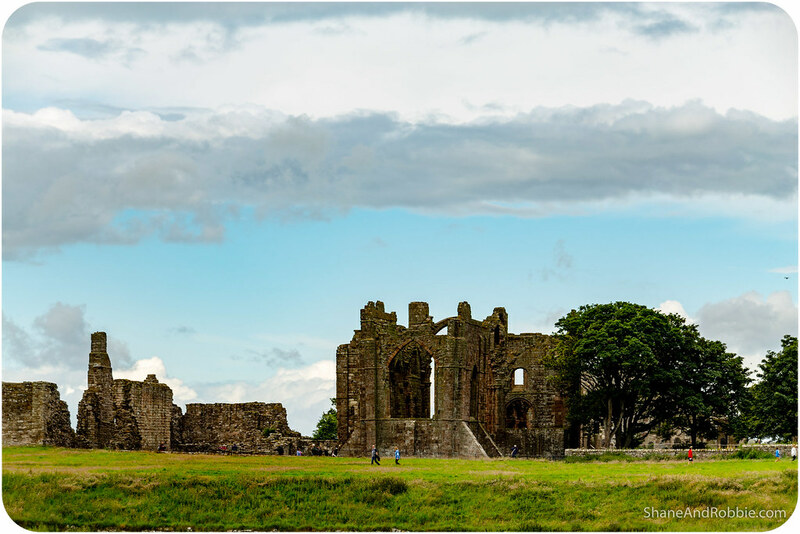 The Monastery of Lindisfarne was founded in 634 by Irish monk St Aidan, who came from Iona (off the west coast of Scotland) to Northumbria to help convert people to Christianity. 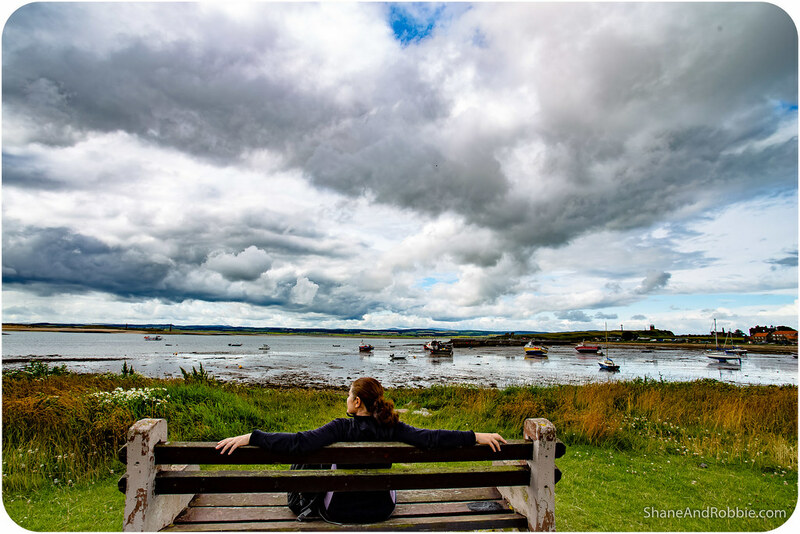 Over the next 150 years Lindisfarne became the major base for Christian evangelising in the north of England. At some point in the early 700s the famous Lindisfarne Gospels, an illustrated Latin copy of the Gospels, was made at Lindisfarne (the Lindisfarne Gospels now reside in the British Library in London). 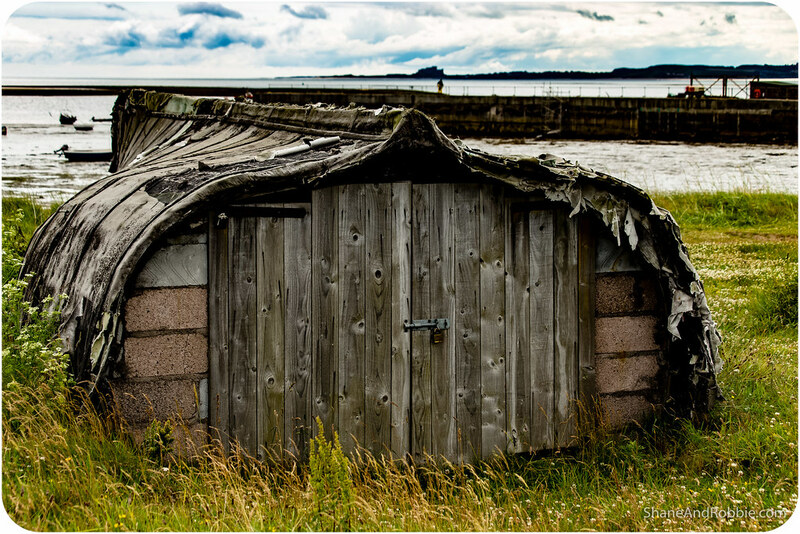 In 793, a Viking raid on Lindisfarne signalled the beginning of the Viking Age*. The monastery was abandoned after a few more raids and left to go to ruin. *This was the period in British history when Vikings raided, settled and even ruled parts of this little island; and it all began with the raid on Lindisfarne by Ragnar Lothbrok (of TV show “Vikings” fame) and his men. 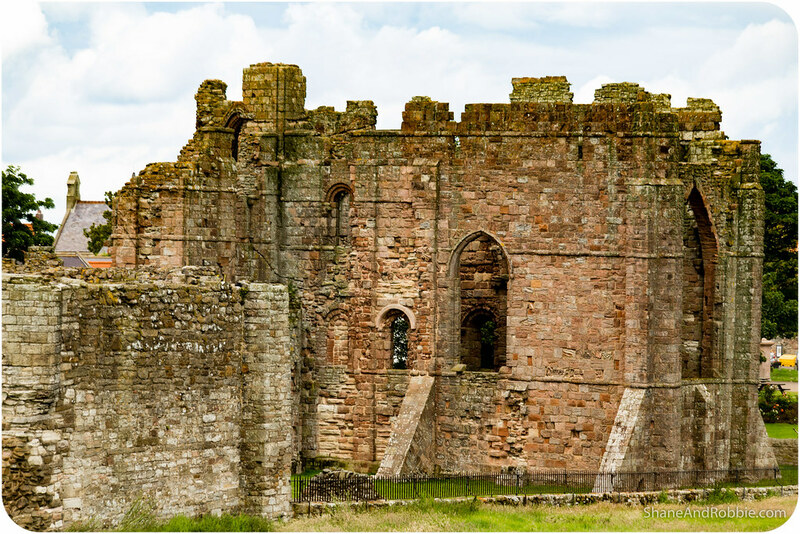 In 1550, at a time when the Viking threat had been replaced by war with the Scots*, a castle was built on Lindisfarne. This small fortress stands atop Beblowe Hill at the eastern end of the island. 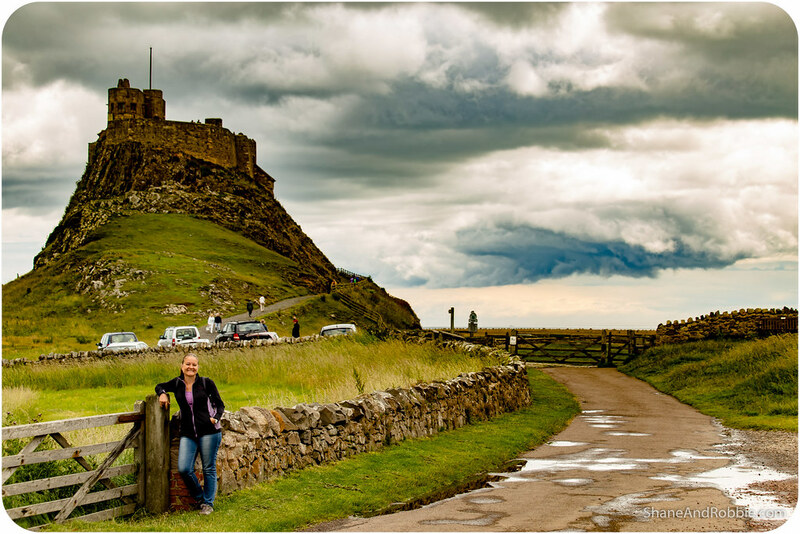 It’s one of the most photographed castles in England and instantly recognisable, standing alone on its rocky promontory. *The English/Scottish border was one of the most heavily contested borders in Europe, with towns near the border (like Berwick-Upon-Tweed, which is now English), changing hands more than a dozen times over the centuries. 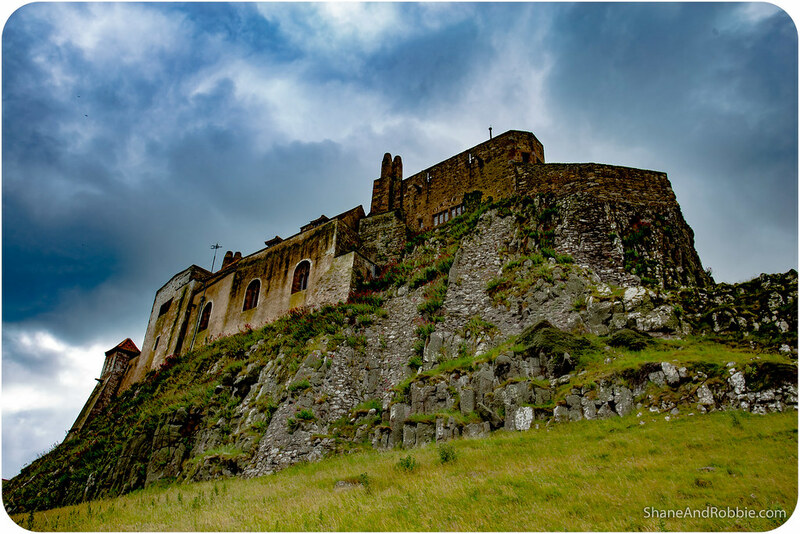 Lindisfarne Castle was only ever designed to house a small garrison of soldiers; if reinforcements were needed a message would be sent to nearby Bamburgh Castle, which is HUGE. 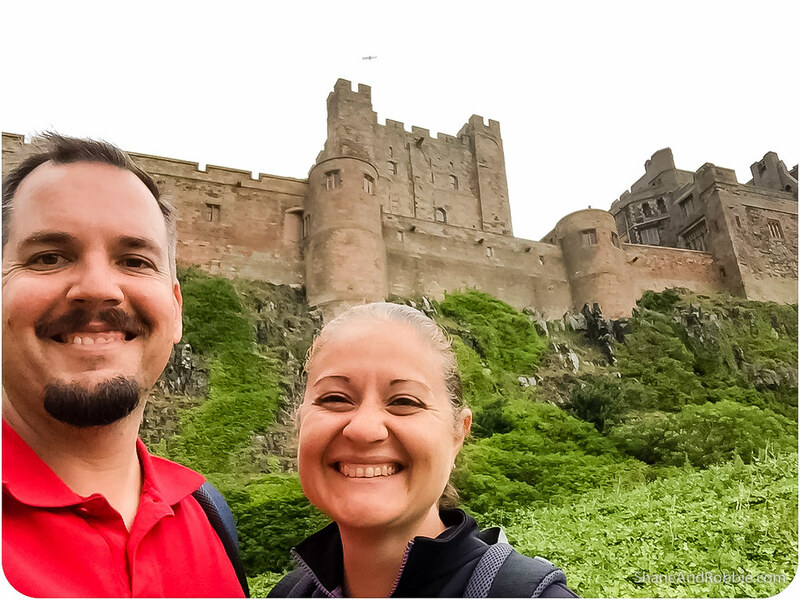 After finishing our explorations of Lindisfarne we stopped in at the village of Bamburgh and its namesake castle for a visit. This vast fortification is daunting in size and beautiful, with its red coloured walls and crenellated battlements. 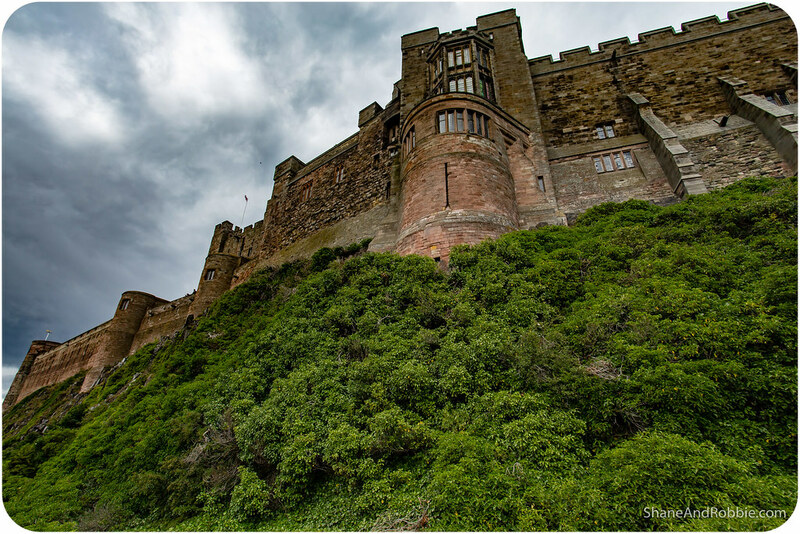 The outcropping Bamburgh Castle is built on has had a fortress on it since the 5th century. 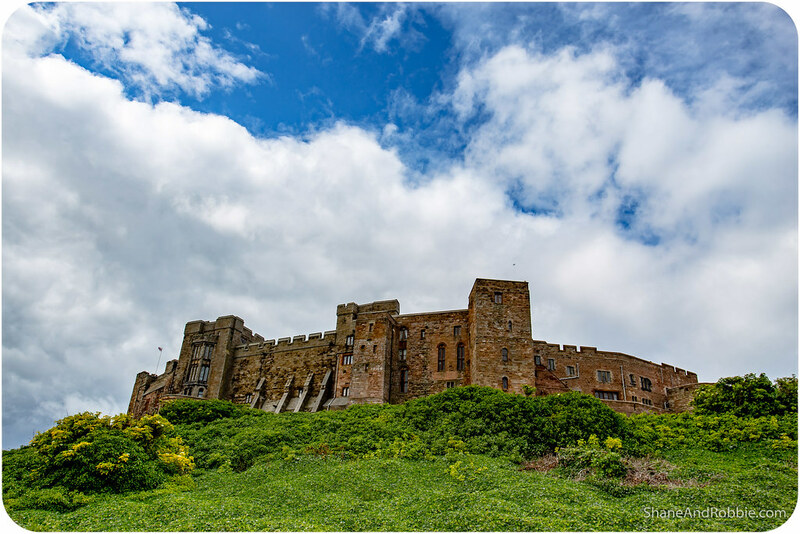 The Britons, the Anglo-Saxons, the Normans, and then finally the English, all controlled Bamburgh at various stages, each adding to the fortress and extending it. 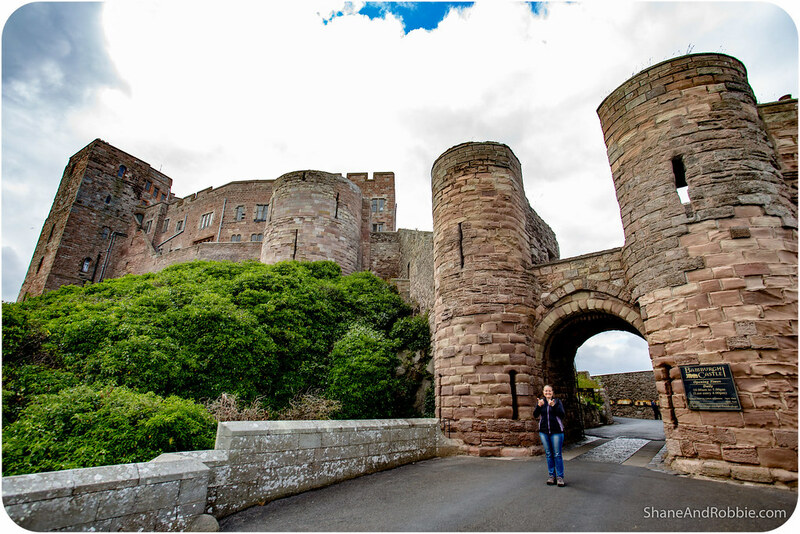 The end result was an immense fortress, owned since the 1300s by the Forster family of Northumberland. The family retained ownership until Sir William Forster declared bankruptcy, and his estates (including the castle) were sold to Lord Crew, Bishop of Durham. As the Kingdoms of England and Scotland united not long after and peace restored to the region, Bamurgh Castle no longer served an important defensive role and so was left to deteriorate. In the 19th century it was bought by industrialist William Armstrong, who restored the castle to its former glory. The castle still belongs to the Armstrong family, and is opened to the public. 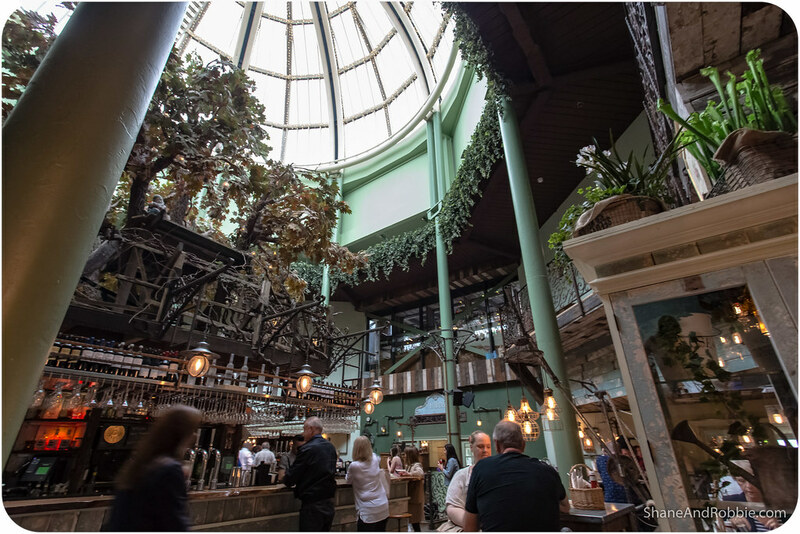 It also hosts weddings and corporate events, and has been used as a film set numerous times over the years. It’s an incredible fortress and well worth a visit. The views across the coast from its ramparts are pretty cool too! Our final stop for the day was the village of Alnwick and its glorious castle. 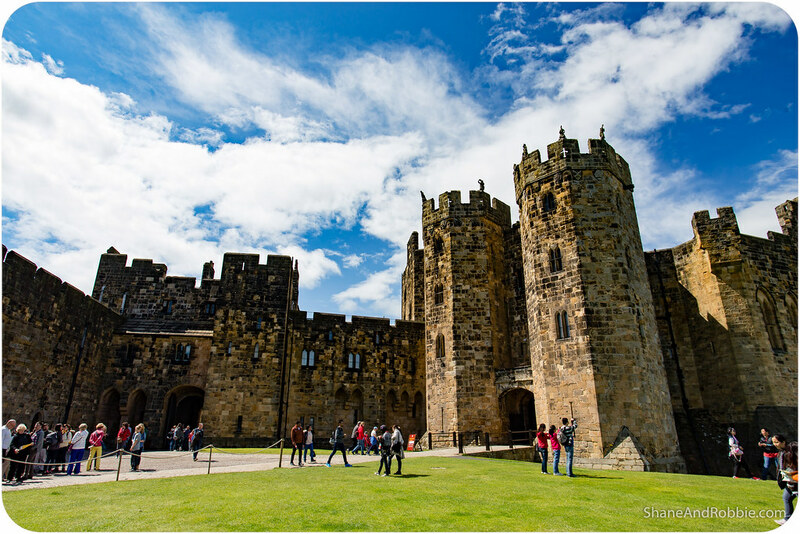 Alnwick Castle is incredible; what makes it even more amazing is that it’s still inhabited! 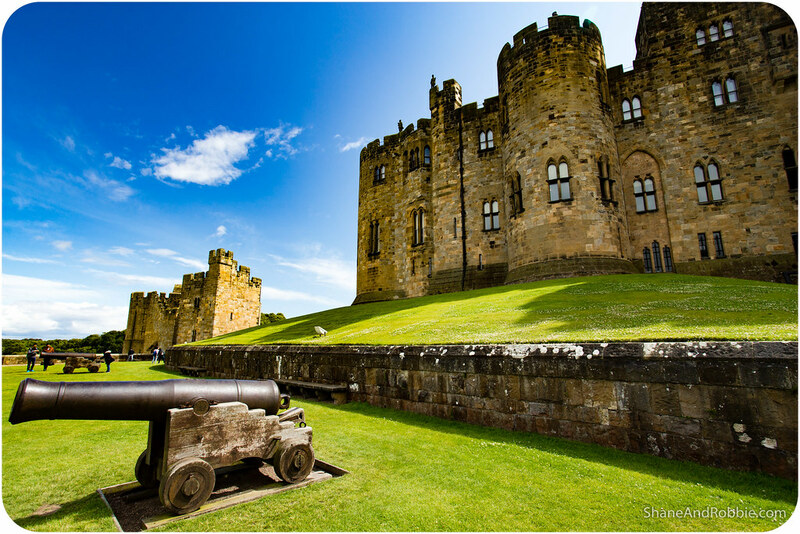 Alnwick Castle is (and has been since 1309) the home of the Percy family, the Dukes of Northumberland. Now THAT’S old money! 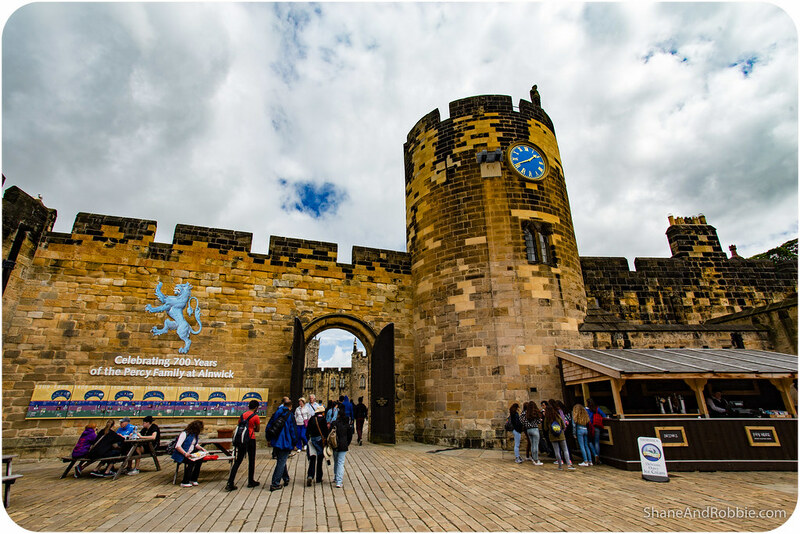 Alnwick Castle was originally built by the Normans as a defensive outpost to guard the crossing at the River Aln. 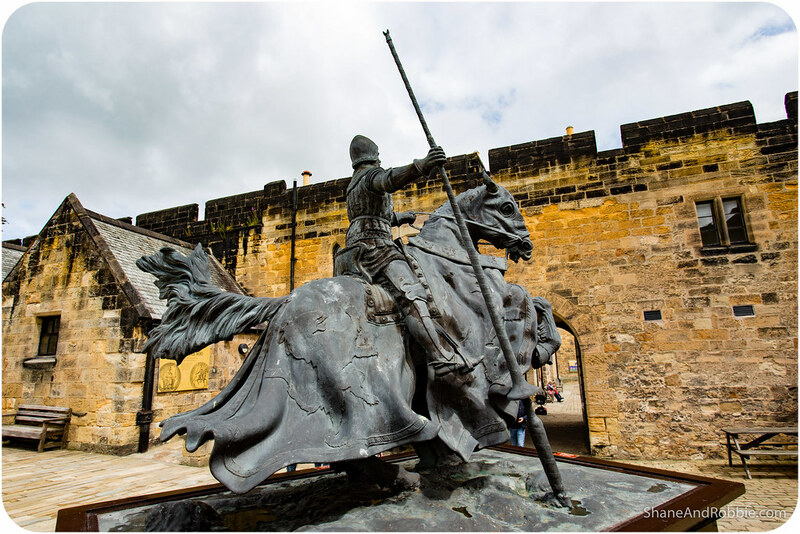 Yves de Vescy, Baron of Alnwick, erected the first parts of the castle in 1096. 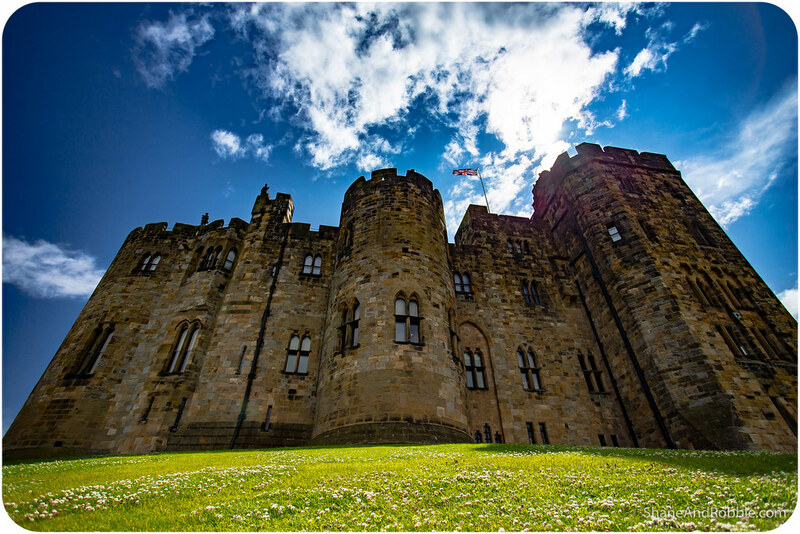 When the Vescy family became extinct, Alnwick Castle and the surrounding lands were bought by Henry Percy (who had earned his title fighting against the Scottish). 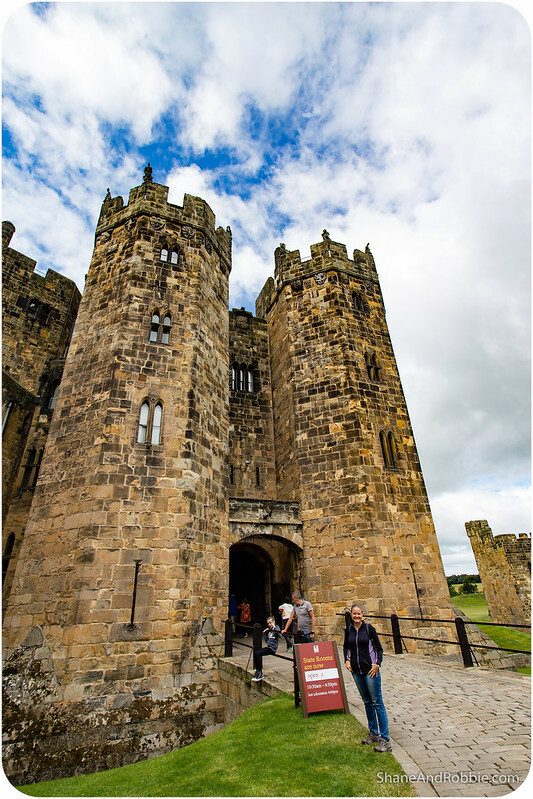 Alnwick Castle has been owned by the Percy family ever since. The Percy family continued to serve a key role in the English army and were powerful lords in northern England; they were bestowed the title of Earls of Northumbria and later Dukes of Northumbria over the centuries due to their ongoing war-time contributions. The current Duke and his family live in the castle, but occupy only a part of it. 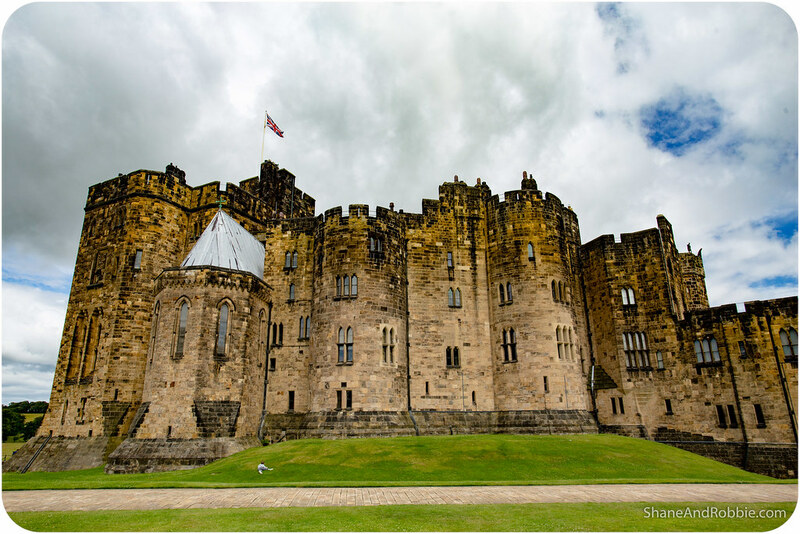 The rest of the castle is open to the public throughout the summer; sections of the castle can be booked for weddings, and it has been used as the backdrop for numerous movies – most recently as Hogwarts in the Harry Potter films. It really is an awesome castle that had us enraptured. Seeing how opulently the rooms were decorated and furnished also made it painfully obvious that the Percy family lives a life we cannot even conceive of. Their world and ours are as divergent as ours is from that of a subsistence farmer in Tanzania. We might have caught a glimpse of how the upperclass live today, but we will never really understand what it means to be part of 700 year old family legacy that carries so much weight and importance.